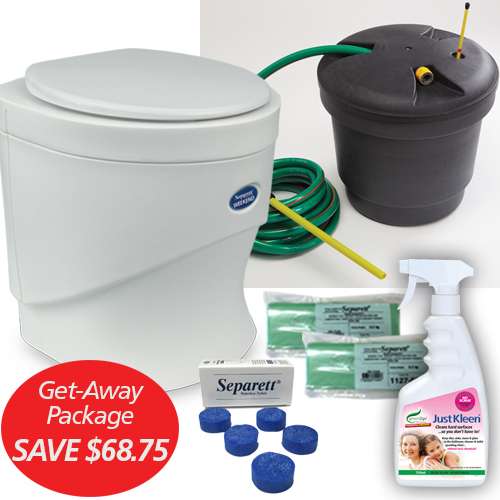 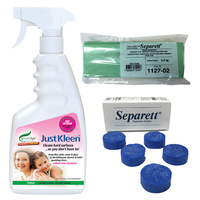 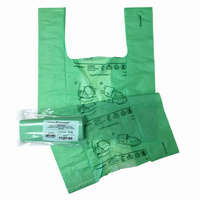 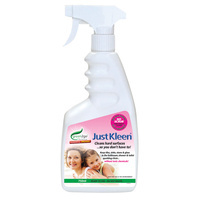 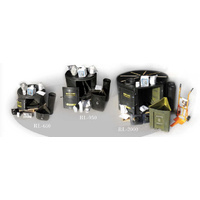 Get-Away Package is an economical waterless toilet kit. 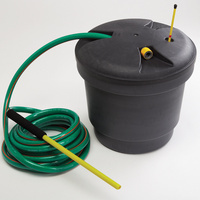 Low energy use and compost ready. This kit is excellent value and is designed to provide you with an affordable solution for remote living. 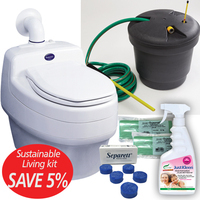 Enjoy getting away from city living, or provide ecomonical solution to your farm or work place without compromising on comfort with this total package offer. 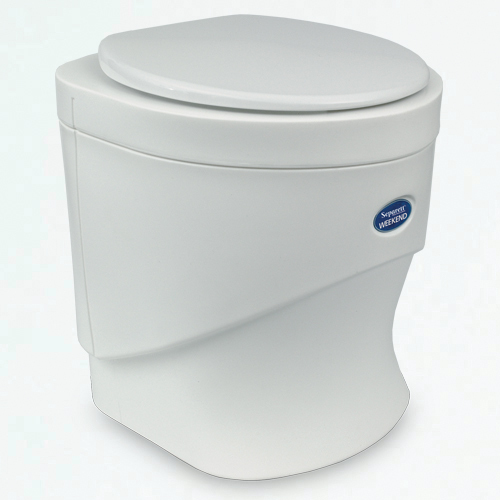 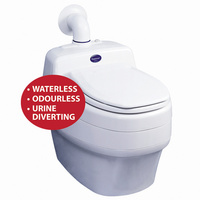 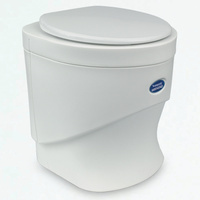 Separett Weekend 12/240v single speed Waterless Toilet. 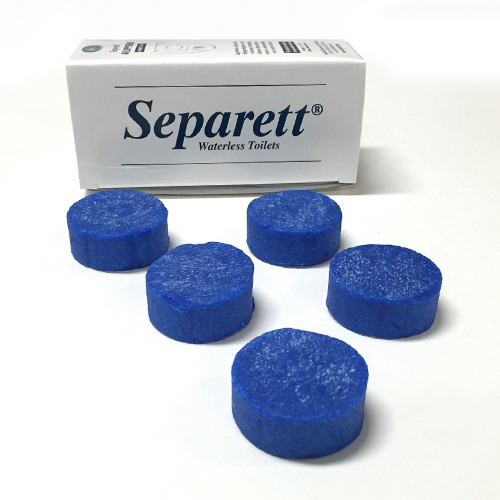 Separett Ejektortank for urine collection and nitrogen rich fertiliser. PLUS 1 box of 5 Bio Drain Tablets for your Separett Villa.